It’s not a green smoothie, what is going on?!! I’m all good, no worries! I just really wanted a mango smoothie, made one and had to make another to share with you. I wanted dessert but something fun and healthy. Growing up we drank smoothies using local fruits that were sold all over town where I was born in Mexico. It’s not a green smoothie/ fruit smoothie fad there, like we’ve talked about. It’s the norm to see vendors on the corner selling beautiful fruit smoothies in most cities and towns. My mom remembers one a whole underground alley in Guadalajara where she would buy her mango smoothie after getting off the train from work. She reminds me of that story every time I make a green smoothie for her to try. Take the greens out and she’ll totally drink it. So I did! I still made it nutritious, there’s no added sugar, it’s not needed. You could add honey for a sweeter taste if you wanted though. I still added yogurt, I tried it with milk and hemp milk, loved both equally, and some hemp seeds for more protein and nutrition. 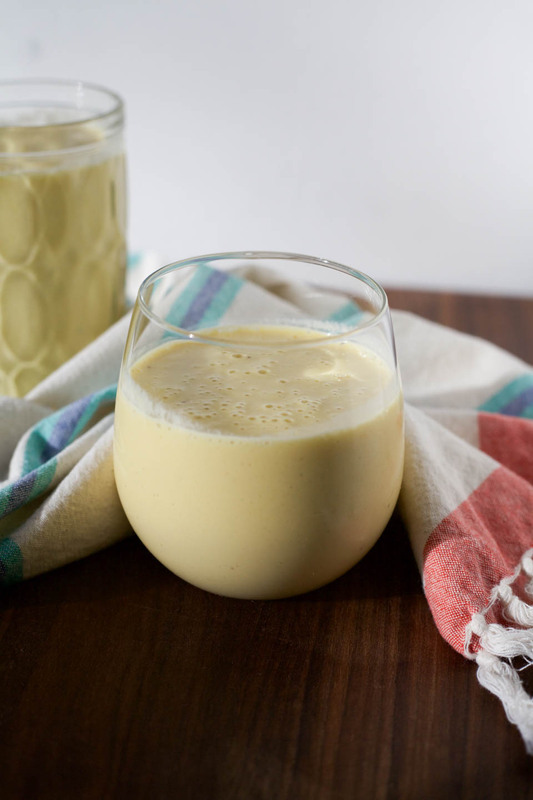 It’s really just a nice and sweet version of my mango green smoothie, without the spinach, which Mom loved! I suppose it’s nice to have a pretty non green looking drink from time to time. And I totally dubbed this dessert. You can add toasted coconut to the top and have it as a night time treat, like a milkshake but way more healthful! Place all ingredients in blender. Blend on high until smooth. Enjoy immediately or the next morning. 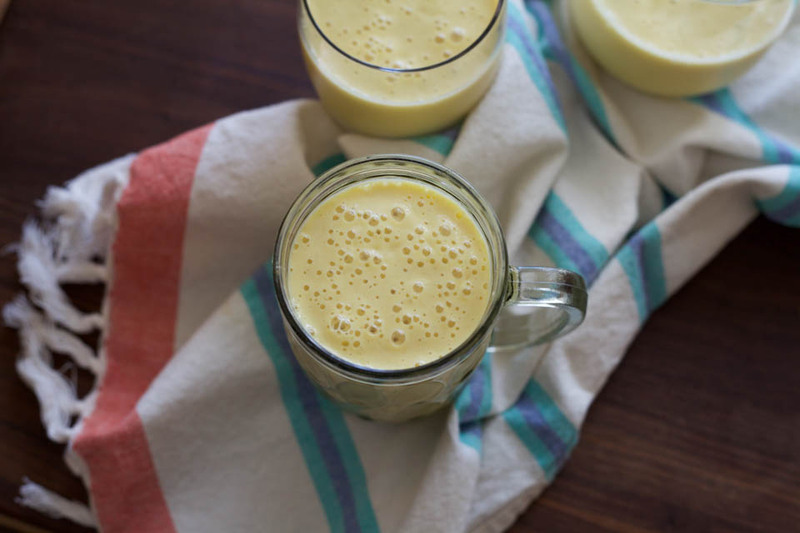 Enjoy this tasty Mango Smoothie! I just love what frozen mango does to smoothies! This looks so amazing and creamy, the perfect way to start your day! Me too, it is the best! Oooh yum! 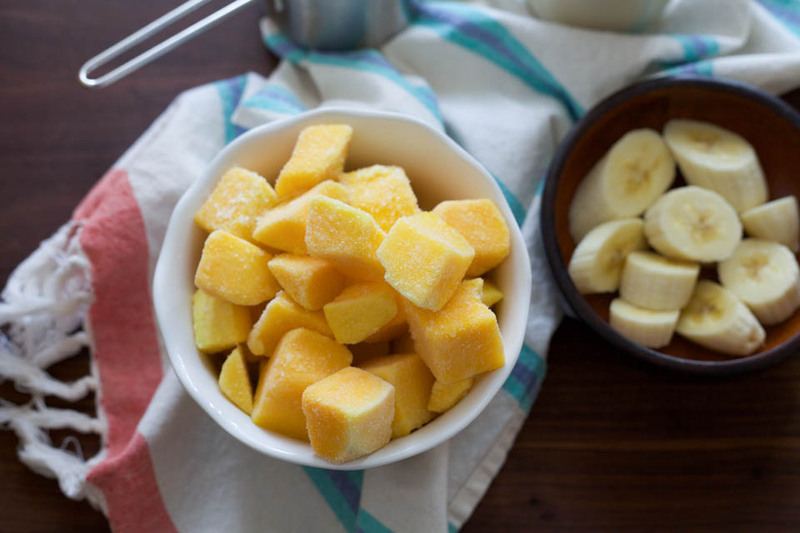 I love any kind smoothies, and I’m sure this is no exception, since mango is one of my favorite flavors! Me too! It really is the best. I love mango and I love smoothies! These would be perfect for me in the mornings! 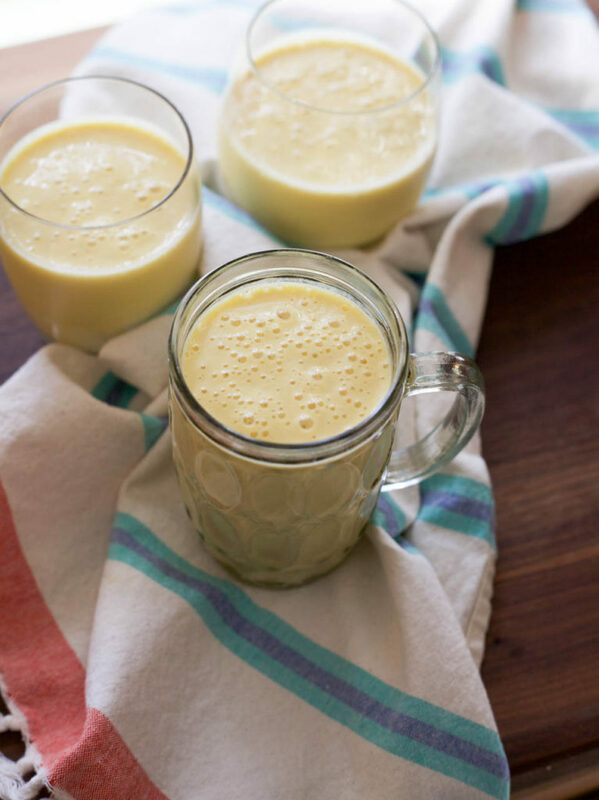 My kids love mango smoothies — my kids love all things mango! I’m not a big smoothie girl, but I’d give this a try! This would be a delicious treat any time of the day!